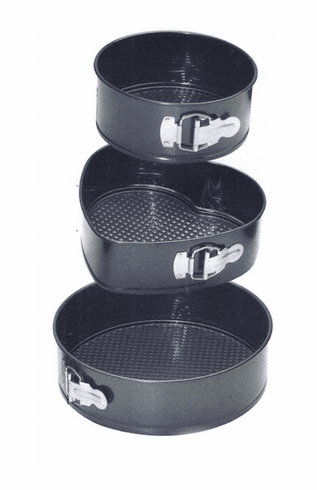 3 piece set includes: 7 inch round pan, 9.5 inch round pan and 9 inch heart pan. Locking mechanism and non-stick waffled bottom helps prevent sticking. Great for cheesecakes, tarts and dense cakes. Dishwasher safe.